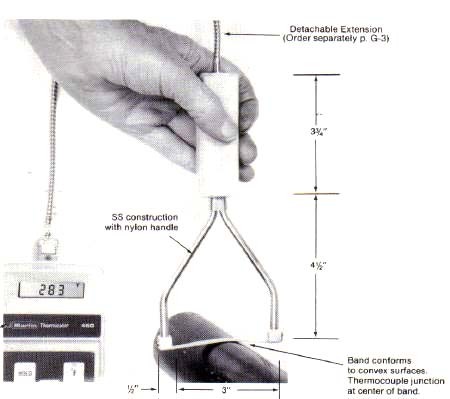 Band Type Surface Probe for fast accurate, temperature readings of convex, static surfaces of cylinders and rolls etc. to 750°F. Insure that proper protection is provided for hands and body from exposure to heat.